We have credible evidence in the form of two photographs that Snitz Edwards acted for "The General". The scenes that he was in were not included in the final cut of the film. Still, unlike any other film site, we believe that Snitz Edwards must be given credit for this film and we have included "The General" in his filmography. 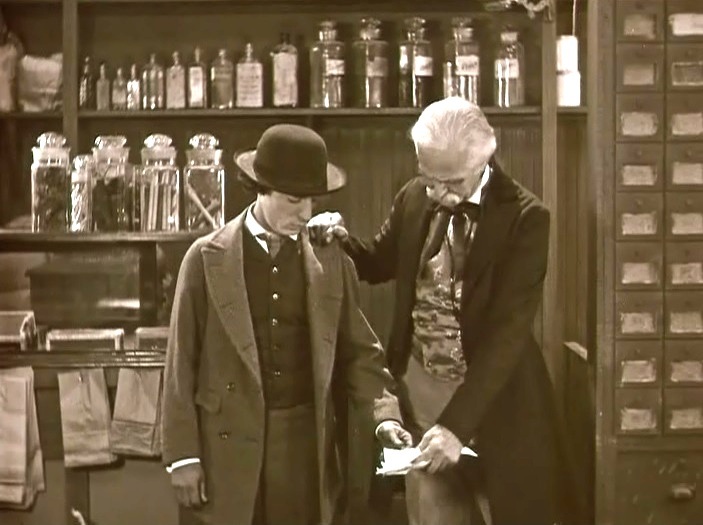 The two pictures with Snitz Edwards and Buster Keaton in "The General" can be seen in the slide show. They are significant for another reason as well: they show that the partnership between Snitz Edwards and Buster Keaton went beyond the three masterpieces Seven Chances (1925), Battling Butler (1926) and College (1927). "The General", a classic silent comedy, lifted Buster Keaton from the ashes of oblivion decades after his name and legacy were forgotten. Audiences and critics in the 1920ies did not appreciate this extraordinary masterpiece, but Buster Keaton always regarded "The General" as his best film. Today he is totally vindicated and the world agrees with him. Simple mortals like us are not able to give adequate praise to this masterpiece. "The General" is fascinating, thrilling, suspenseful, spectacular, and yet thoroughly entertaining. 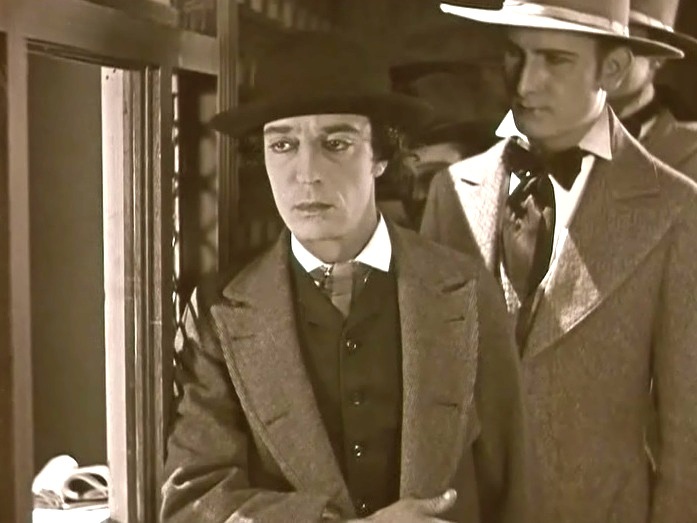 The movie luminary Orson Welles has stated that Buster Keaton's "The General" is "the greatest comedy ever made, the greatest Civil War film ever made, and perhaps the greatest film ever made." (From Wikipedia). 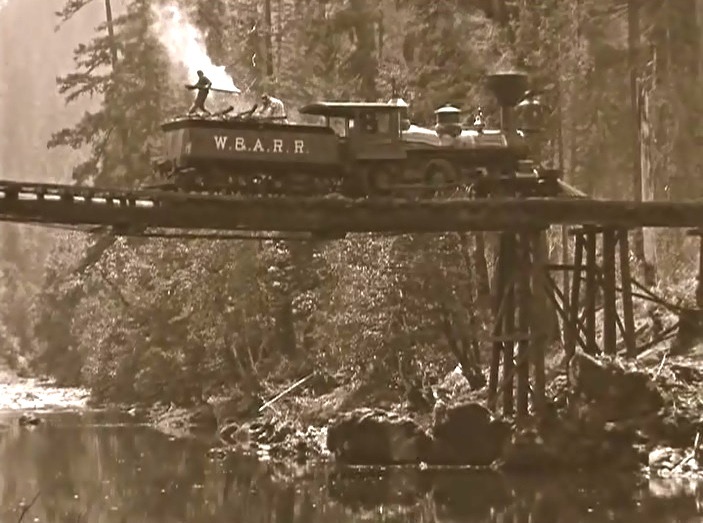 The film contains the single most spectacular scene of the Silent Era when a real train falls from a burning bridge and crashes into the river below. 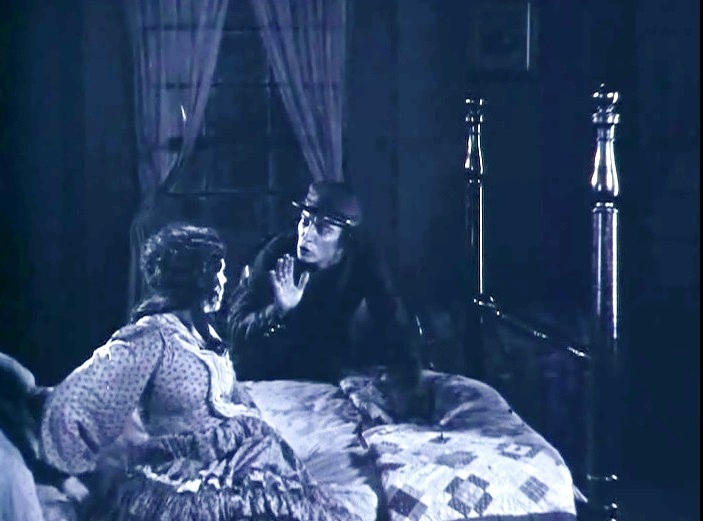 "The General" has been voted in the list of the best films ever made, and is ranked number 1 in the list of The Top 100 Silent Era Films of the influential website Silent Era. "The General" was selected for preservation in the National Film Registry as being "culturally, historically, or aesthetically significant" in 1989, the first year it was enacted. Snitz Edwards and Buster Keaton in "The General" (1926), a scene which was not included in the final version of the film. 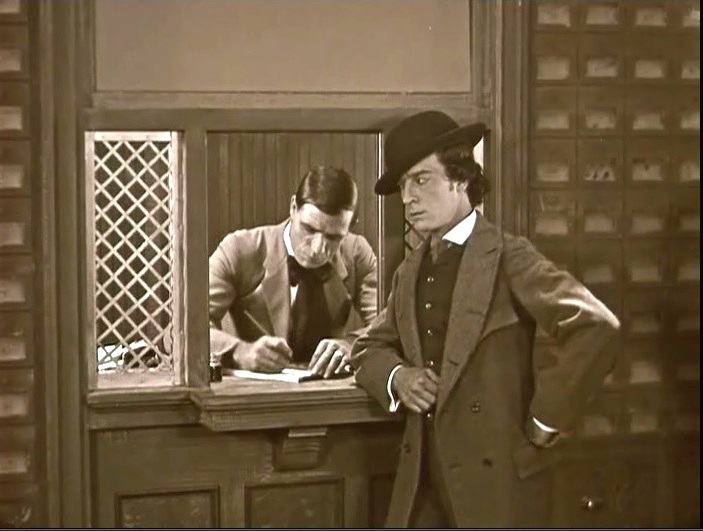 Snitz Edwards and Buster Keaton in "The General" (1926), a second scene which was not included in the final version of the film. 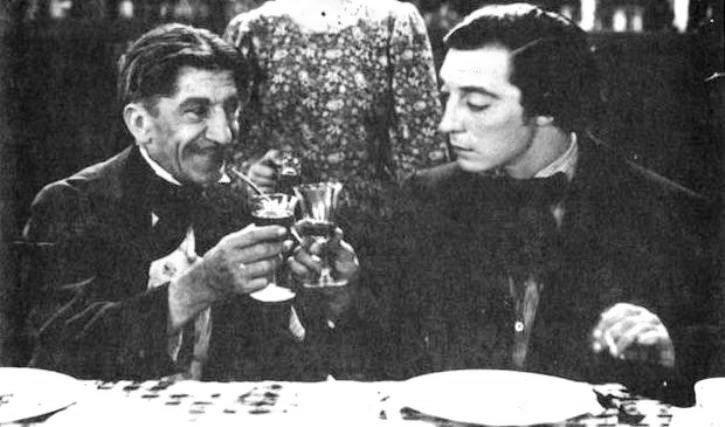 Snitz Edwards and Buster Keaton in "The General" (1926), a detail of the second scene which was not included in the final version of the film. Buster Keaton visits Marion Mack in "The General" (1926). 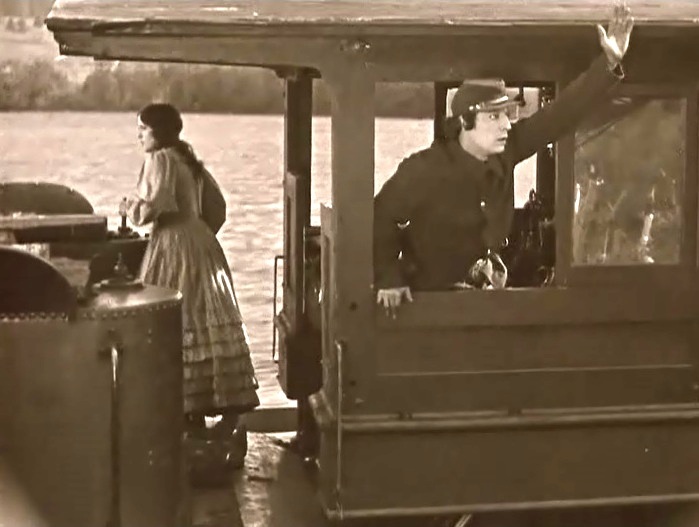 Buster Keaton is urged by Marion Mack to enlist in "The General" (1926). 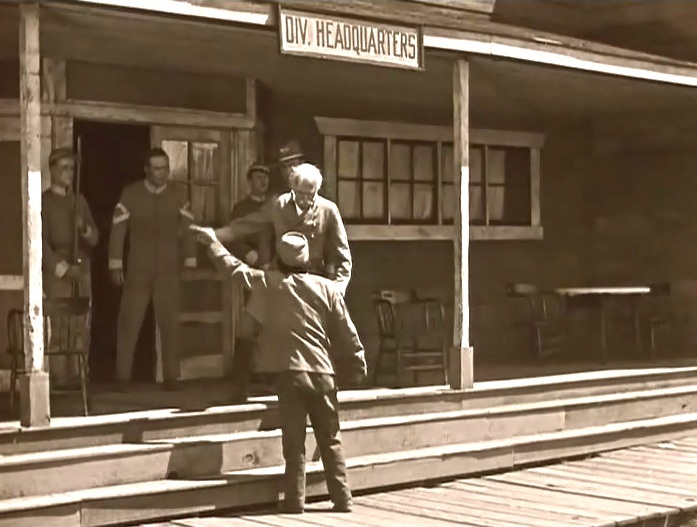 Buster Keaton is first in line to enlist in "The General" (1926). Buster Keaton is trying to enlist in "The General" (1926). 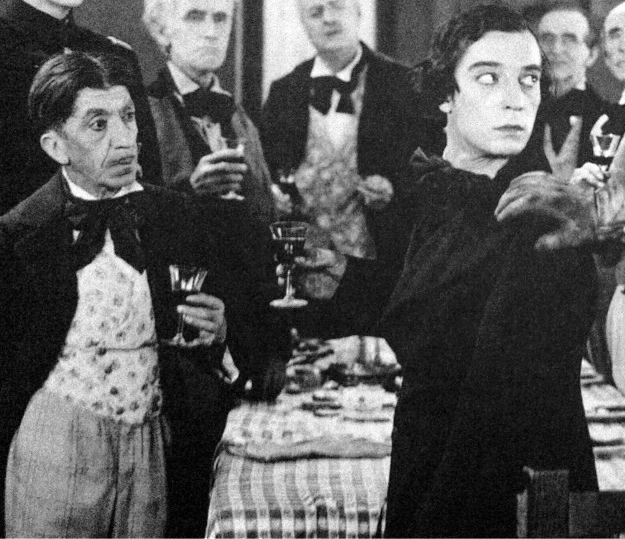 Buster Keaton gets back in line after getting rejected in "The General" (1926). 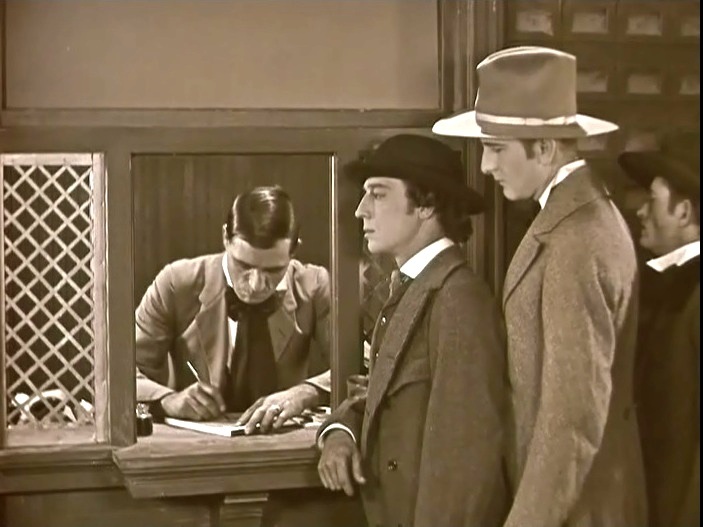 Buster Keaton tries to steal enlist papers in "The General" (1926). 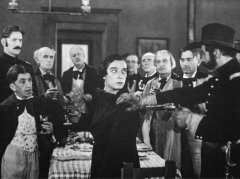 Buster Keaton is confronted by Marion Mack for failure to enlist in "The General" (1926). 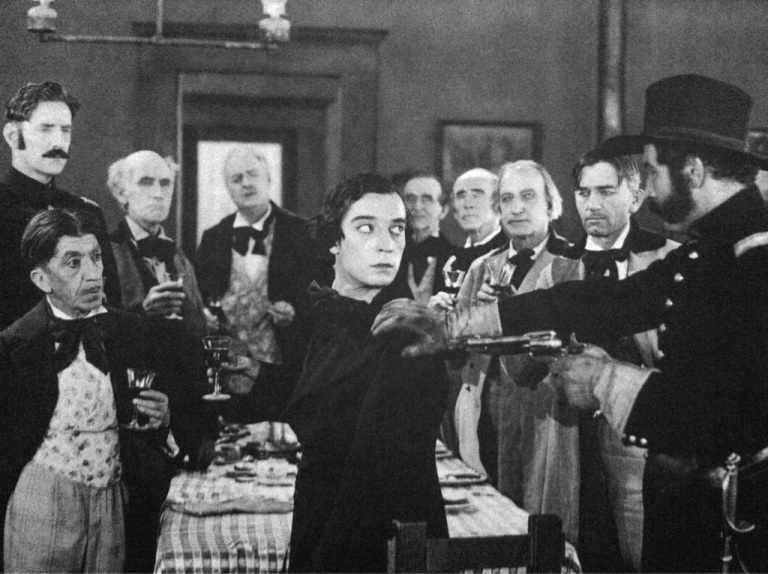 Buster Keaton is rejected by Marion Mack for failure to enlist in "The General" (1926). 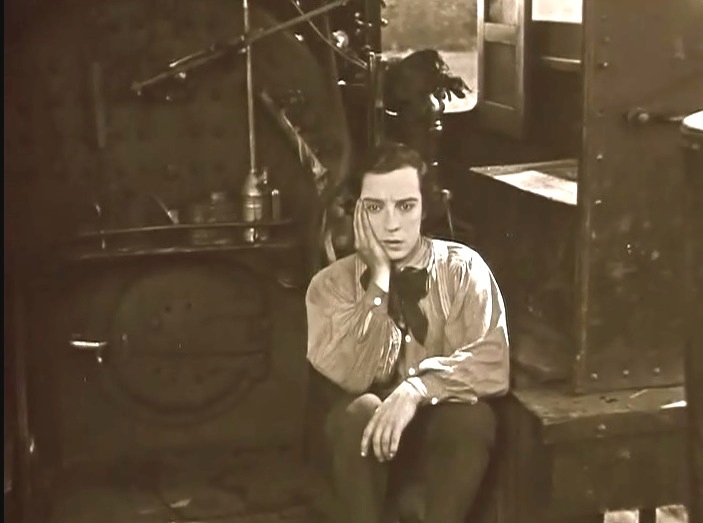 Buster Keaton is dejected after Marion Mack's rejection in "The General" (1926). 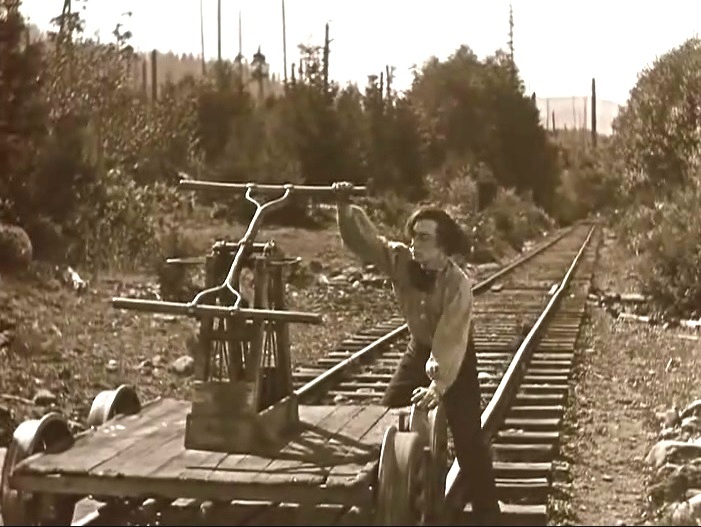 Buster Keaton sees his engine being stolen by enemy spies in "The General" (1926). 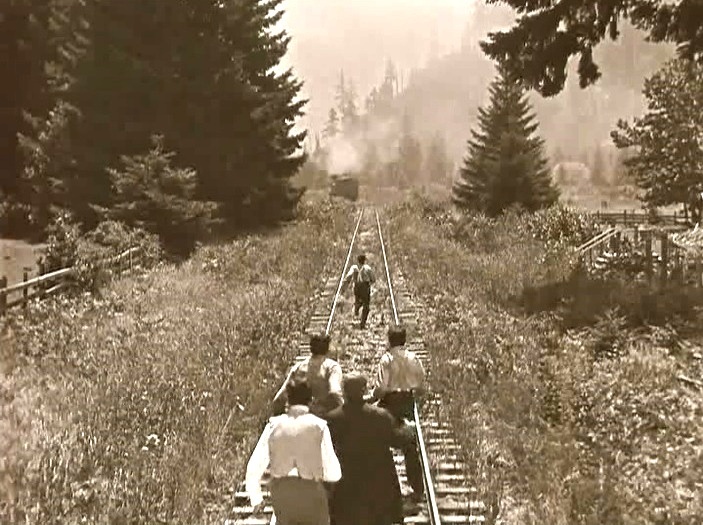 Buster Keaton gives chase on foot in "The General" (1926). 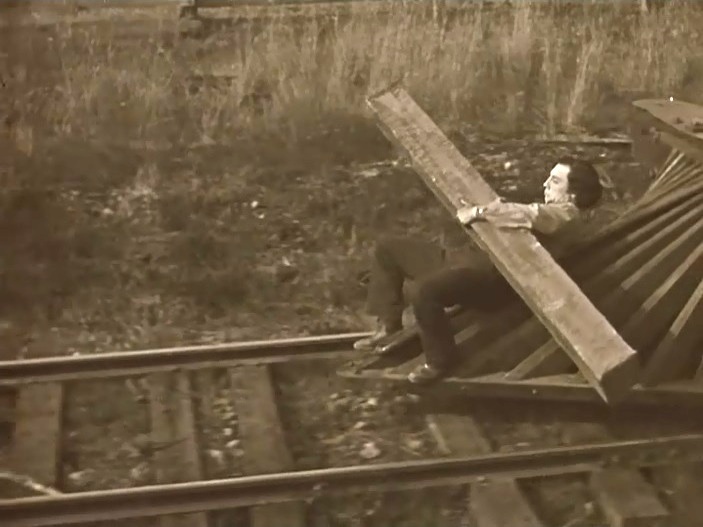 Buster Keaton gives chase on rail in "The General" (1926). 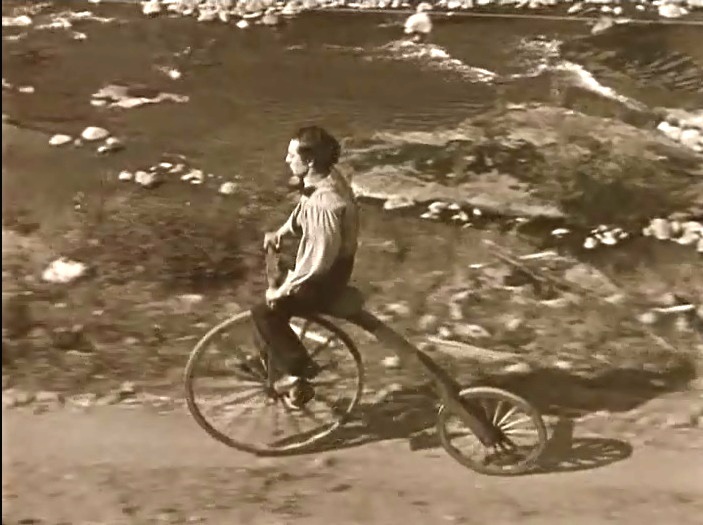 Buster Keaton gives chase on bicycle in "The General" (1926). Buster Keaton gives chase on train in "The General" (1926). 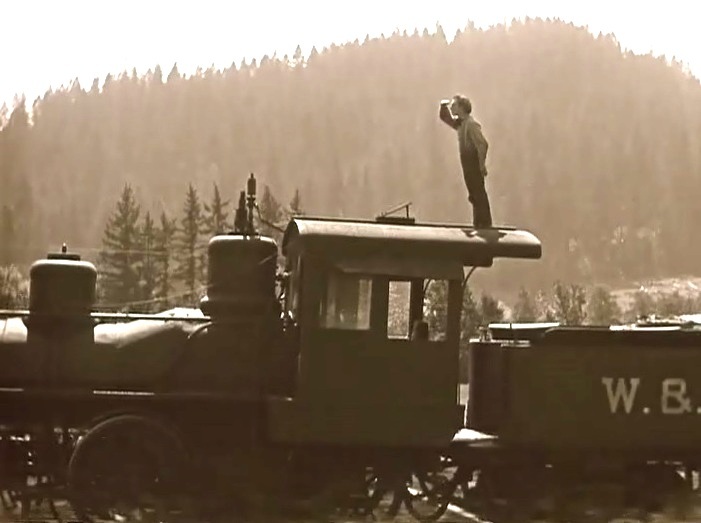 Buster Keaton observing the enemy in an iconic image in "The General" (1926). 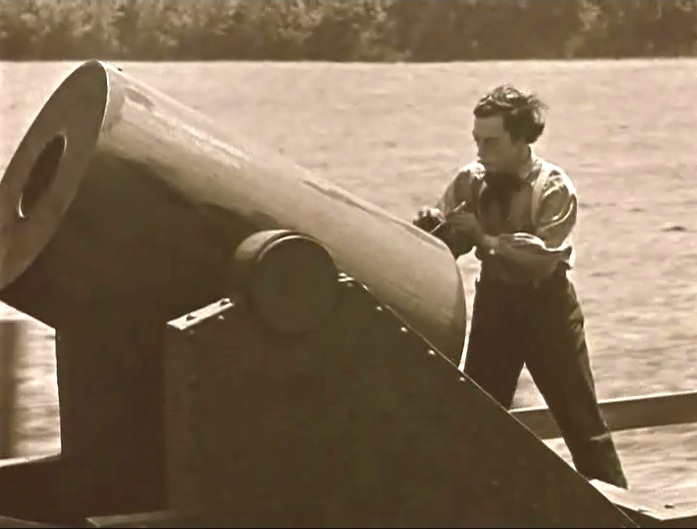 Buster Keaton prepares to shoot the cannon in "The General" (1926). 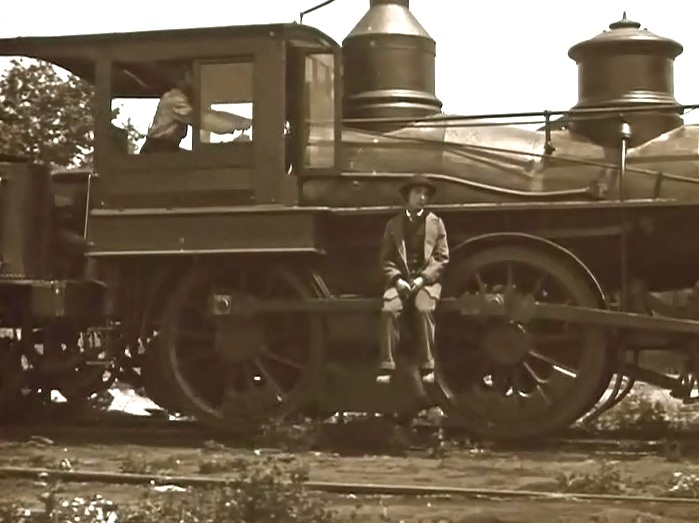 Buster Keaton stares at the cannon in "The General" (1926). 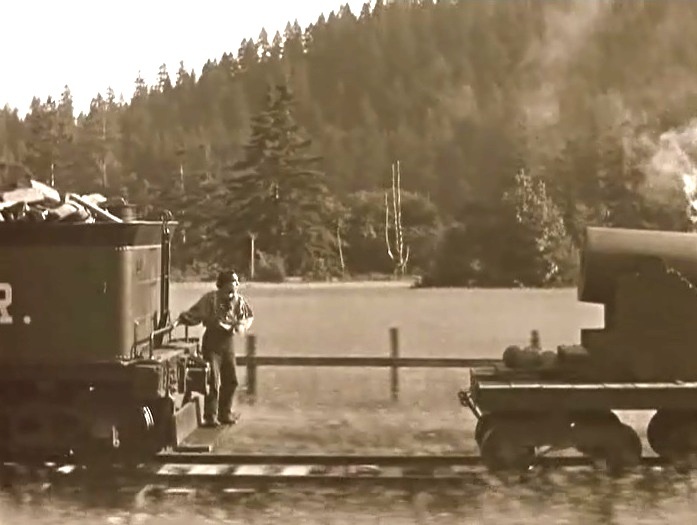 Buster Keaton in his engine chasing the enemy in "The General" (1926). 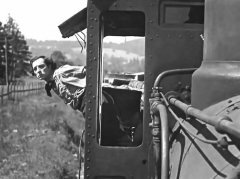 Buster Keaton clears obstacles with dangerous stunts in "The General" (1926). Buster Keaton enters enemy territory in "The General" (1926). 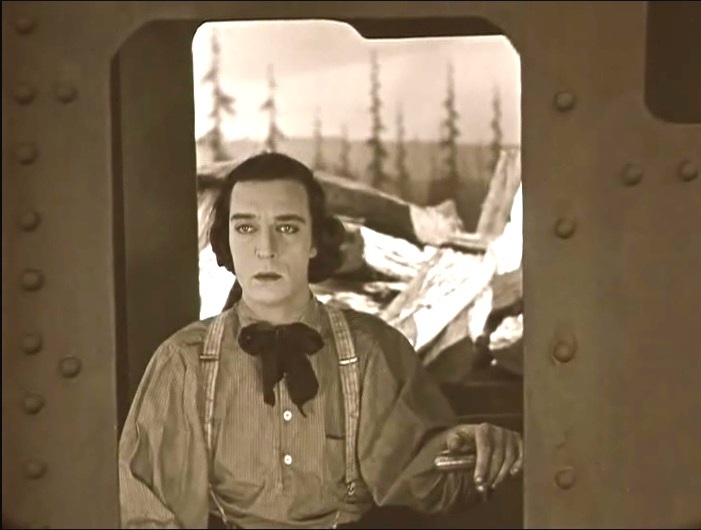 Buster Keaton is worried being in enemy land in "The General" (1926). Buster Keaton listens to enemy officers in "The General" (1926). Buster Keaton liberates Marion Mack from captivity in "The General" (1926). Buster Keaton and Marion Mack have a refreshing night's rest in "The General" (1926). Buster Keaton and Marion Mack plan their return in "The General" (1926). Buster Keaton puts Marion Mack in a sac in "The General" (1926). 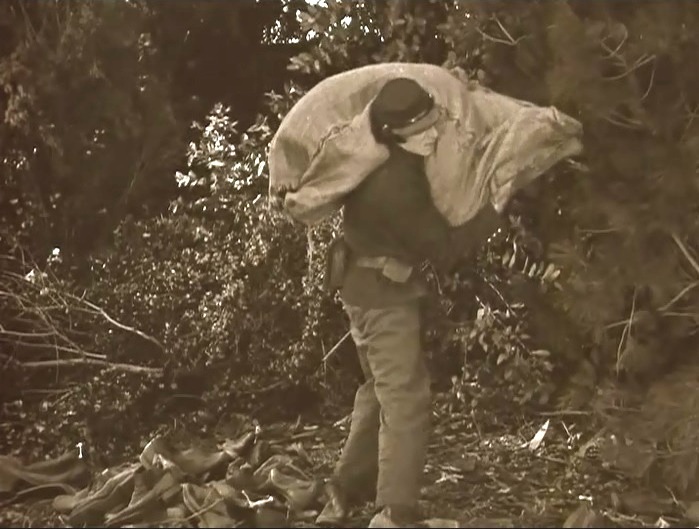 Buster Keaton carries Marion Mack in "The General" (1926). 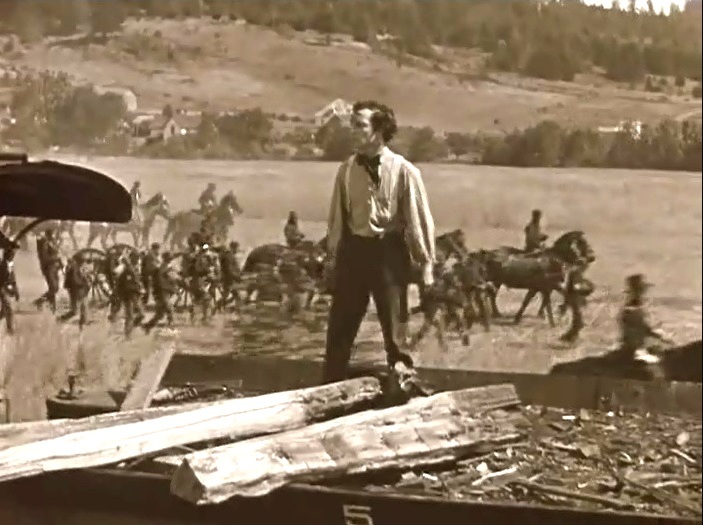 Buster Keaton and Marion Mack are chased by the enemy in "The General" (1926). Buster Keaton and Marion Mack prepare to burn the bridge in "The General" (1926). 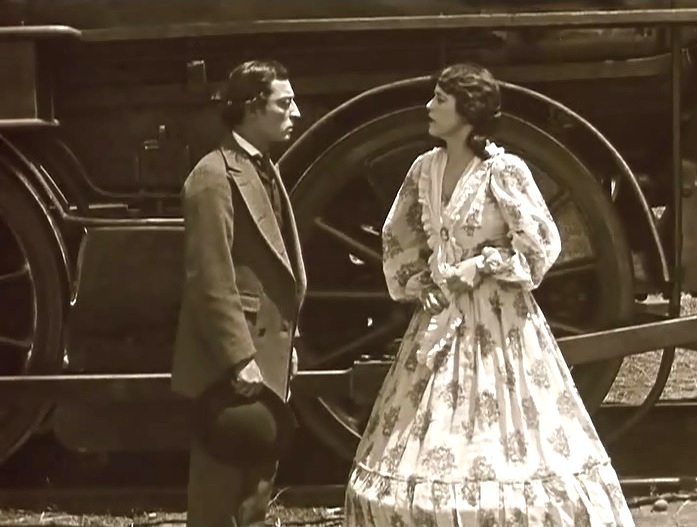 Buster Keaton and Marion Mack return to friendly territory in "The General" (1926). 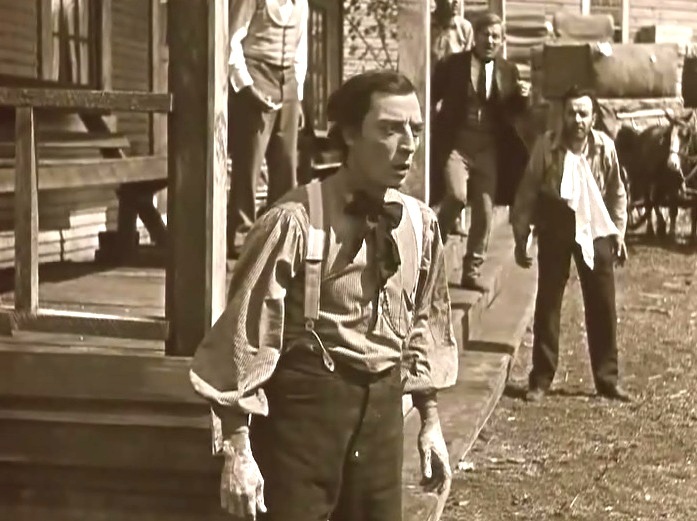 Buster Keaton alerts friendly troops about the imminent danger in "The General" (1926). 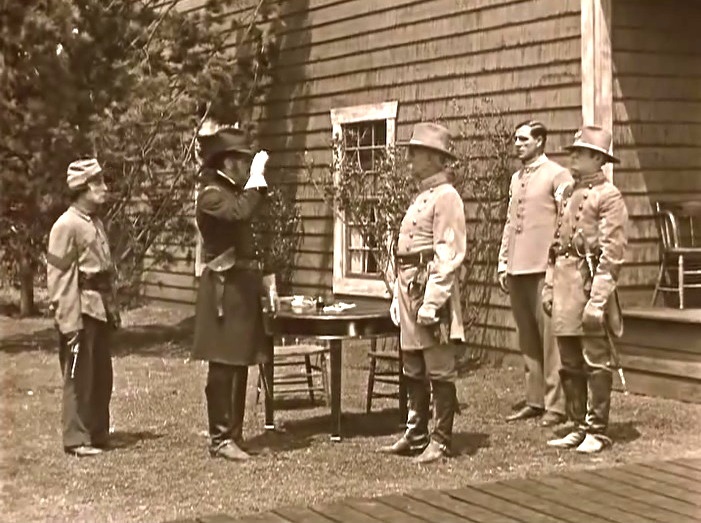 Buster Keaton and Marion Mack help their general with the uniform in "The General" (1926). 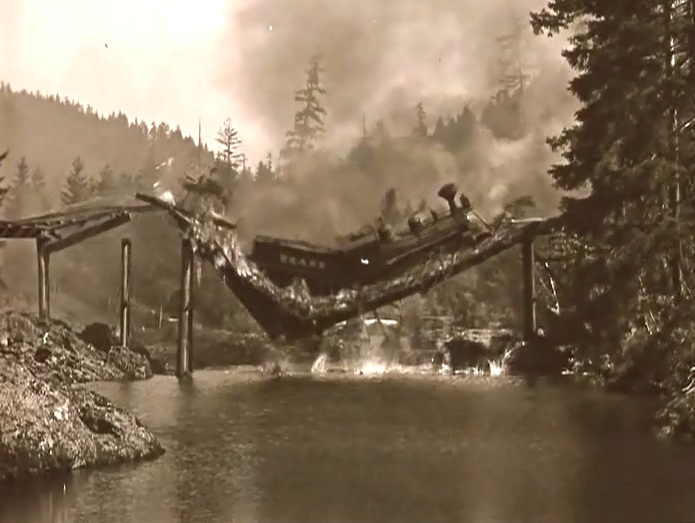 The enemy engine crashes in the river in "The General" (1926). The most spectacular episode in the silent era of Motion Pictures. 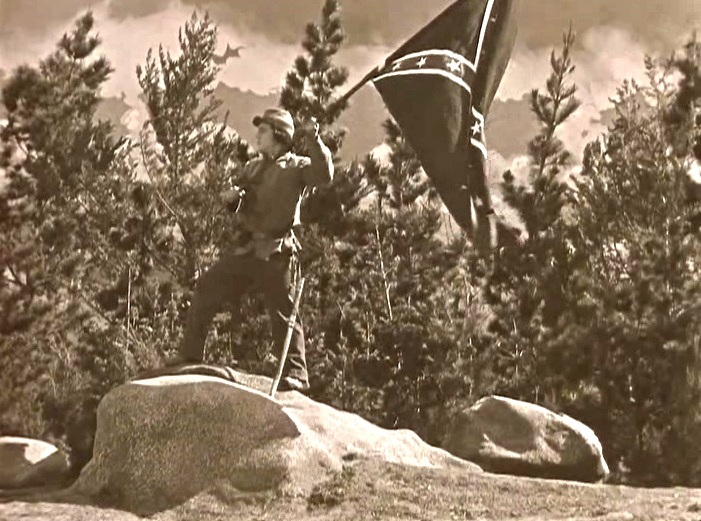 Buster Keaton picks the flag from a fallen comrade in "The General" (1926). Buster Keaton arrests an enemy officer in "The General" (1926). Buster Keaton looks on as the enemy officer salutes his general in "The General" (1926). Buster Keaton is promoted to lieutenant as Marion Mack rejoices in "The General" (1926). Buster Keaton is wanted again by Marion Mack in "The General" (1926). 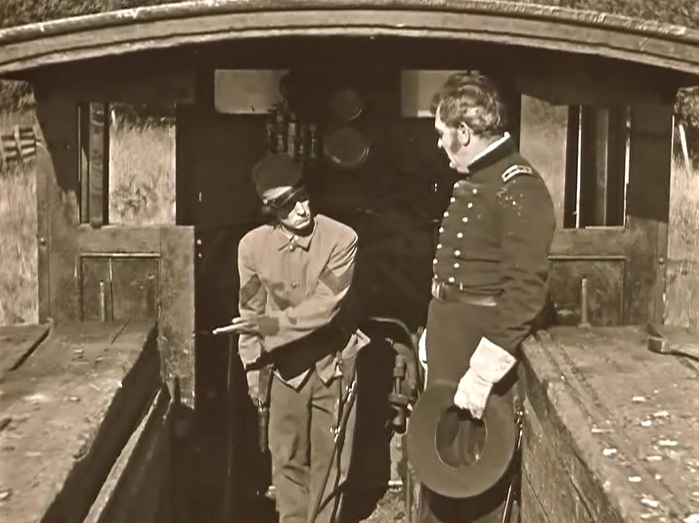 Snitz Edwards and Buster Keaton in "The General"